Universal Registrars ( UR ) is an Independent, Impartial and Proficient Certification Body established as per requirement of IS/ISO/IEC 17021:2011 (Conformity Assessment-Requirements for Bodies providing Audit and Certification of Management Systems). UR is the global leader in management certification. 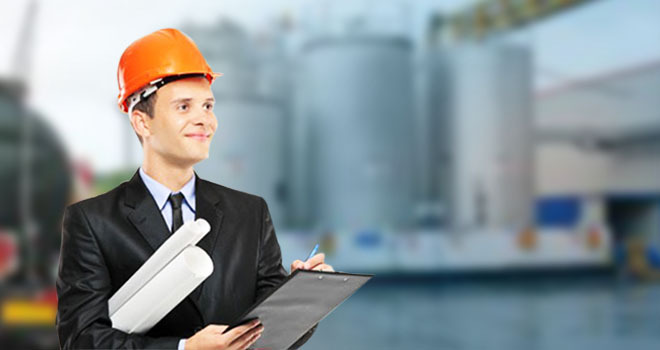 UR serves global clients in the field of ISO and CE certification. UR has a vision of Quality Transformation through it Services. UR Provides ISO 9001, ISO 14001, OHSAS 18001, ISO 20000, ISO 22000, ISO 27001, ISO/TS 16949, CE Marking, AS 9100 and HACCP Certification Services. 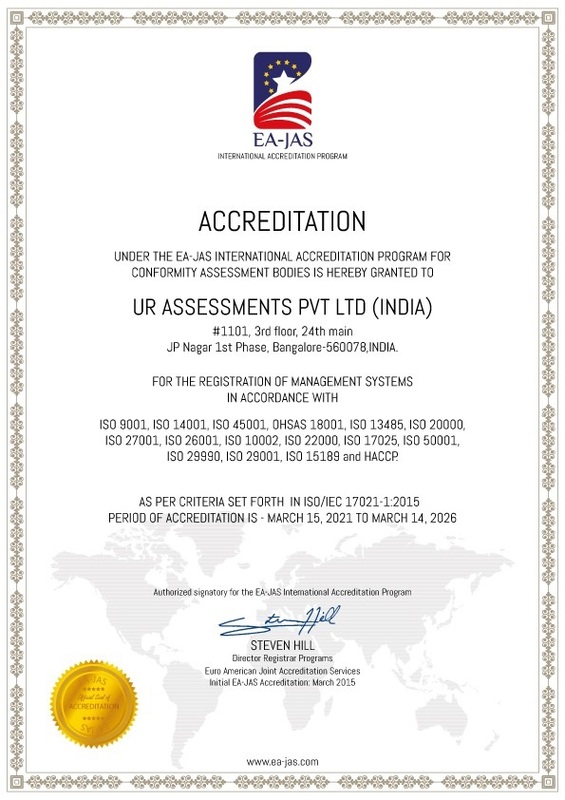 "UR" has Accreditation from Euro-American Joint Accreditation Services (EAJAS). Euro-American Joint Accreditation Services (EA-JAS) is an independent accreditation body offering accreditation programs for Laboratories, Certification bodies and Inspection bodies. All EA-JAS accreditation programs operate in accordance with relevant international standards with the aim of getting these programs harmonized and recognized internationally. This will ultimately promote and increase the reputation and confidence of products and services provided by EA-JAS accredited partners. EA-JAS Logo captures the essence of the best of Europe and the USA by incorporating elements of the Euro and USA flags into its symbol.